The first entry in this series covered Happy Isles to the intersection with the Marie Lakes Trail. This installment takes us all the way to Silver Pass. Thousand Island Lake (~ 43 miles from Happy Isles) Map. 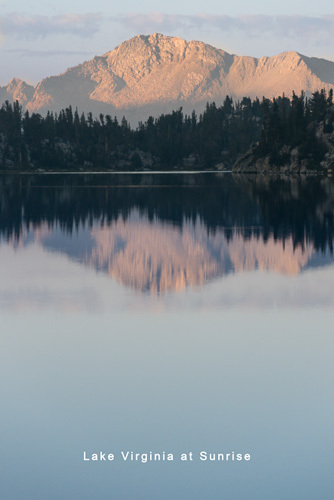 If you’ve done any research at all about the John Muir Trail, you’ve probably seen Thousand Island Lake. It is one of the most photographed terrain features on the entire trail, and for good reason. The lake is one of the largest you’ll encounter on your entire trip, and it is dotted with many small granite islands. (With all due respect to Theodore Solomons, who allegedly named the body of water, there are significantly fewer than 1,000 islands.) Camping near the outlet stream is strictly prohibited, but there are some fine sites south of the trail at least 100 feet from the northern shoreline. Garnet Lake (~ 45 miles from Happy Isles) Map. Garnet Lake is like the sophisticated sister who gets less attention than her flamboyant sibling, but she rewards the hiker with the more discriminating taste. You also have to work a little harder to find a good (and legal) campsite. They are there, though, and the views of both Banner Peak and Mount Ritter, particularly in the morning, are memorable. Rosalie Lake (~ 48 miles from Happy Isles) Map. This is a great spot for a break as the trail passes with a few feet of the lake. But pass up the lake view this time and try this: walk just a couple hundred feet east for some terrific views of the same valley where Agnew Meadow is located. There are even a few small camping spots to be found. The Mulehouse Cafe, Red’s Meadow (~ 57 miles from Happy Isles) Map. The finest patty-melts known to man, great pies, terrific breakfasts, plumbing, washers, dryers, and a mattress if you are so inclined. No french fries, though. Purple Lake (~ 71 miles from Happy Isles) Map. If you started the day at Red’s Meadow, and you are averaging 10 – 15 miles per day, this is a great place to spend the night. The alpenglow at Purple Lake, assuming a sunny afternoon, is the best during the first half of the hike. Resist the temptation to camp near the outlet stream, as that is prohibited. The better sites are south of the lake and up the hill a bit, anyway. Lake Virginia (~ 73 miles from Happy Isles) Map. If you are carrying a light load and are walking a bit faster, this is a better camping area than Purple Lake. The next morning, get up early and cross the inlet creek for some great views across the lake. 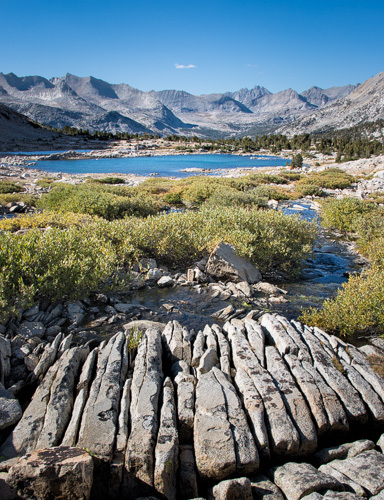 Lake Virginia is widely considered one of the real gems of the northern half of the John Muir Trail. From Tully Hole to the Tully Hole Bridge (~ 73 miles from Happy Isles) Map. Tully Hole is known for its swarms of mosquitos, but I must smell so bad by the time I get there that they refuse to have anything to do with me, because I’ve not had a problem. Although the stretch from Tully Hole to the bridge isn’t a great place for camping, it is quite scenic. Plan a break there. Next week, we’ll press on to the middle fifth of the trail. The view from Upper Cathedral Lake is amazing. Here’s one of my best tips for enjoying your hike of the John Muir Trail: SIT DOWN every once in awhile! For the next five posts I’m going to list some of my favorite spots to drop my backpack and take in the surroundings. Some will be great places to camp, others will be a great place to take a break, take a picture, or, perhaps, take a nap! Next week, the adventure continues. There is a lot of debate among hikers regarding the wisdom of carrying a GPS or GPS-enabled smartphone while hiking. 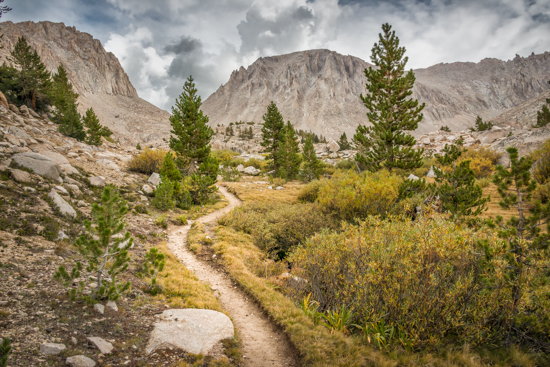 Even those who recommend its use in some wilderness areas are less inclined to bring one along on the John Muir Trail, with its general lack of navigational challenges. I’m not going to wade into that argument, other than to say I think carrying one is worth the money and weight. Note: in this article I will often use the term “mark.” By “marking” a position, I mean establishing a waypoint at a particular location in order to find it later. GPS devices are good at that. Just make sure, prior to your hike, you learn how to mark a location, and how to use your device to return to that spot. Mark your campsites and break spots. There are several reasons for this: you can record locations that were particularly good or bad, you can leave your campsite for a side hike (or a short walk to another campsite) and find it easily when you return, even in the dark, and, should you leave something at a spot where you took a break, the GPS will give some idea of how far you need to backtrack to recover it, as well as exactly where it is. Mark where you leave your gear if you are bagging a peak. One usually doesn’t want to haul everything to a nearby summit, but you don’t really want to leave your stuff right next to the trail, either. Instead, hang your gear on a tree (to discourage marmots, pikas and mice from exploring), mark the spot, and know that you’ll be able to find it later. Mark spots of particularly amazing photos. Lots of cameras now have a GPS built right in, but a GPS is a heavy power user. Should you decide to save your camera battery, or if your camera doesn’t have a GPS, consider marking the spot you took a particularly good shot, like the one of the bear trying to get into your canister. Many GPS devices will tell you the exact time for sunset and sunrise. Many hikers like to stop, eat dinner, and then hike a while longer before turning in for the night. Knowing when the sun will set can help you decide when to make that stop for dinner and just how much light you have left. One final note: one area where GPS devices sometimes do NOT excel, even though they have a readout that appears to be quite accurate, is in calculating elevation. We continue our tour of great places for breaks, naps, or campsites, this time reviewing the penultimate forty miles of the trail. Best creep by this sleeping carnivore! Man-Eating Rock (~ 133 miles from Happy Isles) Map. 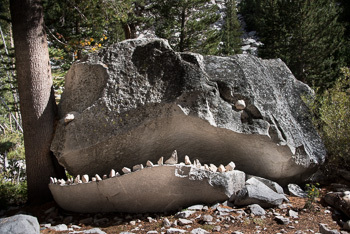 The man-eating rock in LeConte Canyon is no work of art, but after a couple of weeks on the trail, you have to snicker a bit. Yes, it’s a pretty obvious example of a leave-no-trace violation, and, no, I wouldn’t recommend that anyone repeat the gag anywhere else, but I’d be lying if I said it doesn’t make me chuckle, every time I see it. Since it’s in LeConte Canyon, it also happens be in a particularly scenic area. There are lots of camping areas, near water, from this granite creature all the way until Big Pete Meadow. Grouse Meadow (~ 137 miles from Happy Isles) Map. Grouse Meadow ought to be overrun by mosquitos, but I’ve never encountered a single flying pest during my stops there. (Of course, I’ve only experienced it late in the year.) 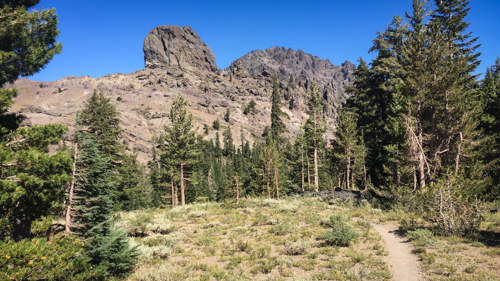 What I have seen is an ideal example of a Sierra Nevada meadow: a winding stream running through an ocean of green, surrounded by pine forest and granite. If you can’t camp here, at least stop for a long break. Lower Palisade Lake (~ 146 miles from Happy Isles) Map. Once you make it to the top of the Golden Staircase, you’ll be ready for a breather. Lower Palisade Lake has water, level campsites, scenery, and (fortunately or unfortunately) company, in the form of other hikers. The outlet stream from Lake Marjorie. Lake Marjorie (~ 158 miles from Happy Isles) Map. If you are intending to stay on the north side of Pinchot Pass, this is a great place to spend the night. The shear wall to the west of the lake is impressive in the morning light, and the campgrounds are plentiful and level. Once you get settled, explore the area around the outlet stream of Lake Marjorie. Next week, the last forty miles of trail. Yosemite bears are after your food, and they are getting smarter every generation. Thankfully, there is almost no risk of injury from a bear (the only death in Yosemite caused by wildlife that I am aware of was caused by a deer), but the wrong kind of bear encounter can certainly end or delay your hike. In the past few years the park service has observed bear behavior that has changed some of their recommendations regarding how to use your bear canister. Second, at least one bear in Yosemite has learned that if you roll a secure canister off a high enough cliff, a piñata-like surprise will await below. The park service is now recommending that when you situate your canister for the night it be put “in an area that is difficult for a bear to roll or bat it away and within viewing distance of your camping area.” They also suggest you place “noisy objects on top of your canister to help alert you if an animal is attempting to move it.” They propose using a cook pot. 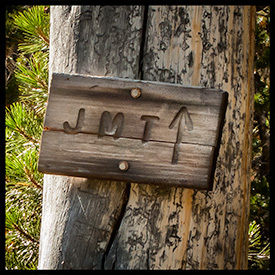 I have no data to back this up, but I suspect that about a third to half of all thru-hikers will see a bear somewhere on the JMT, and that most of those encounters will take place within Yosemite National Park. Counterintuitively, the less wild the area, the more likely you will spot a bear. The best way to take care of them — and you — is to make sure your food, and your canister, is properly stored. Note: thanks to Dean in Portland for this blog post idea. Before I start giving certain campsites a “bad” reputation, I should probably point out that bad is pretty darned good when it comes to the John Muir Trail. It’s likely that the worst of these have views better than the best view you will see during your typical work week. Still, there are spots I’ve come to avoid over the years. Read the reasons why and then decide for yourself. The Southern End of Lyell Canyon. 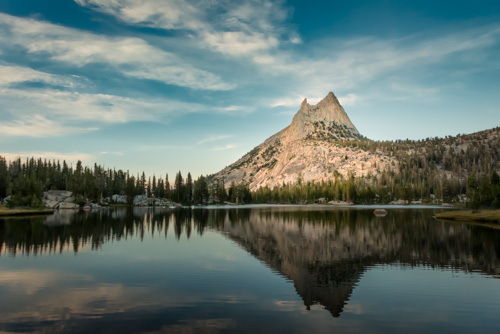 If I’m not stopping a mile or more short of the Lyell Fork Bridge (and since I almost always start the day I hike through Lyell Canyon at Tuolumne Meadows I’m always going farther), then I keep going until I am at least to the small lake that is a mile or so from Donohue Pass. It is often said that we carry canisters on our hikes because of the bear problem. It is probably closer to the truth to say we carry canisters because we have a people problem. The south end of the canyon is a perfect example; it tends to get lots of hikers who do not want to end the day with a sustained climb, and many of them don’t follow the rules as closely as they should regarding food. Noisy hikers and inquisitive bears do not make for a good night’s sleep. Keep going and not only will you be rewarded with a better view and a quieter evening, you will get a head-start on Donohue Pass in the morning. Purple Lake. This is a logical stopping point on day one out of Red’s Meadow, given the distance involved. There is nothing wrong with the scenery — the lake is quite pretty and the mountains on the east side put on a very nice alpenglow show in the evening. My problem is that I’ve never been there without the companionship of discourteous campers. There are a number of established campsites that are actually illegal (they are “established” in the sense that they are used again and again) and, because of the distance from Red’s, it tends to be crowded. As I’ve stated before, Lake Virginia is only a little farther, albeit uphill, and is a far better choice. Guitar Lake. This is the only campsite on the list that I’ll probably continue to use. Why? Because I’m old and slow. If I were younger I wouldn’t mind camping at Crabtree Meadow. There is cover, a composting toilet, good water, and even a Ranger! The problem? There are three uphill miles before you get to Guitar Lake. The last day, if you start at Guitar Lake and end at Whitney Portal, is already a long one. Adding a three-mile climb to the beginning is just a little too much for me. What’s wrong with Guitar Lake? It’s crowded, cold, and has no cover at all (the only way to break the wind is to set up between boulders). On the other hand, in the wee hours on a clear morning, the sky is pretty amazing.